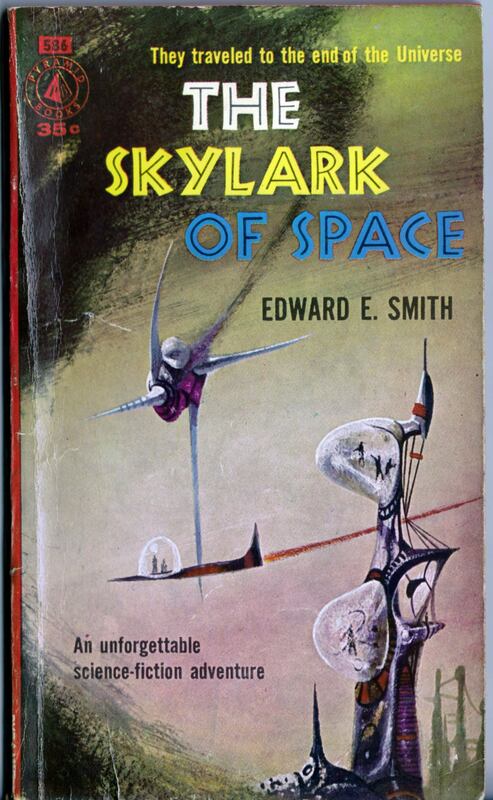 ABOVE: Edward E. Smith, The Skylark of Space (New York: Pyramid, 1958), with cover art by Richard Powers. 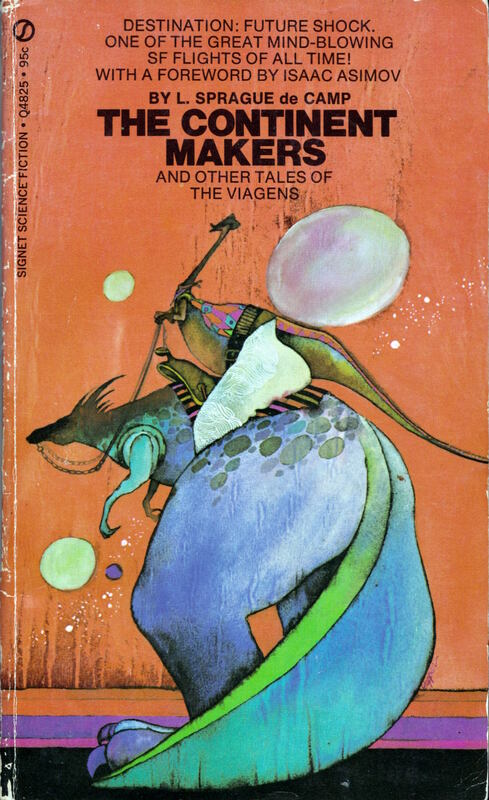 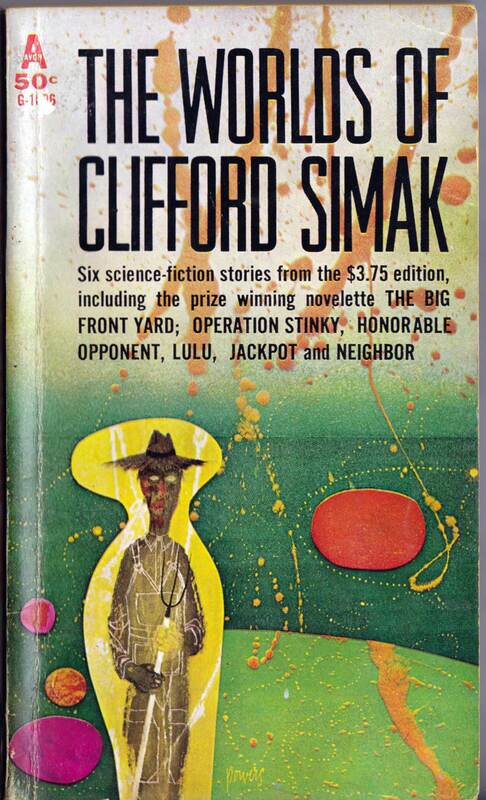 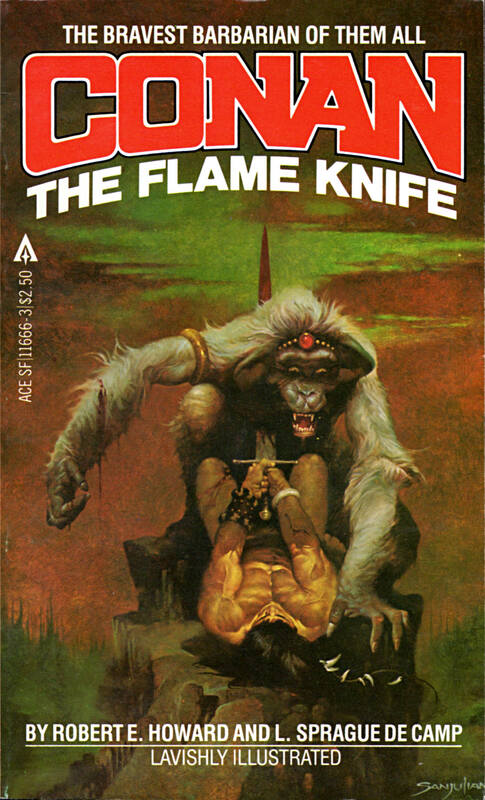 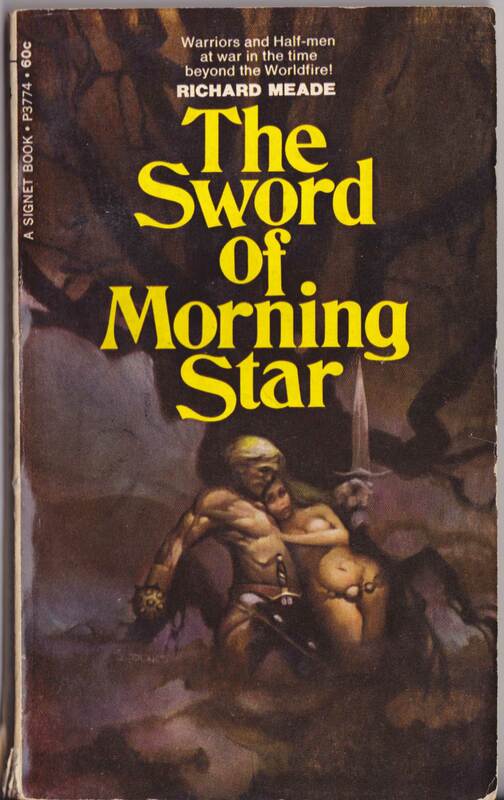 ABOVE: Clifford Simak, The Worlds of Clifford Simak (New York: Avon, n.d.), with cover art by Richard Powers. 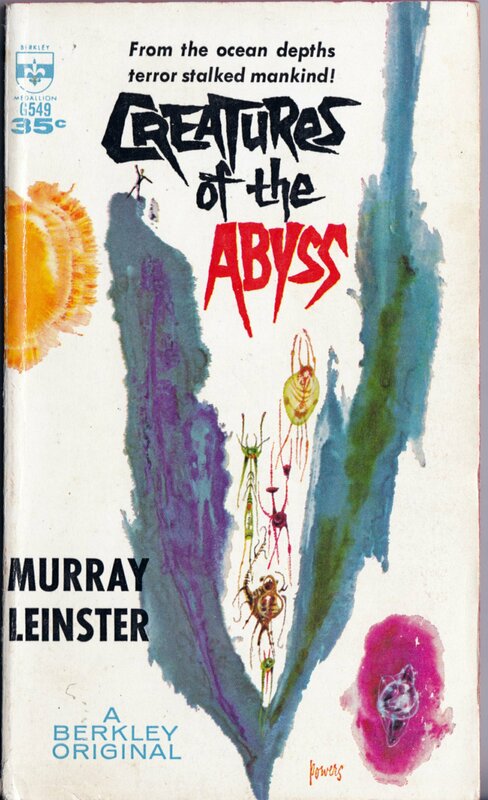 ABOVE: Murray Leinster, Creatures of the Abyss (New York: Berkley, 1961), with cover art by Richard Powers. 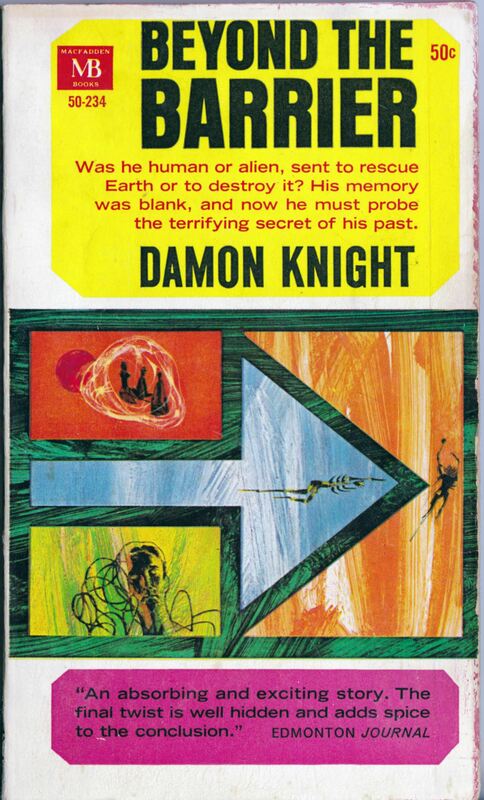 ABOVE: Damon Knight, Beyond the Barrier (New York: Macfadden Books, 1965), with cover art by Richard Powers. 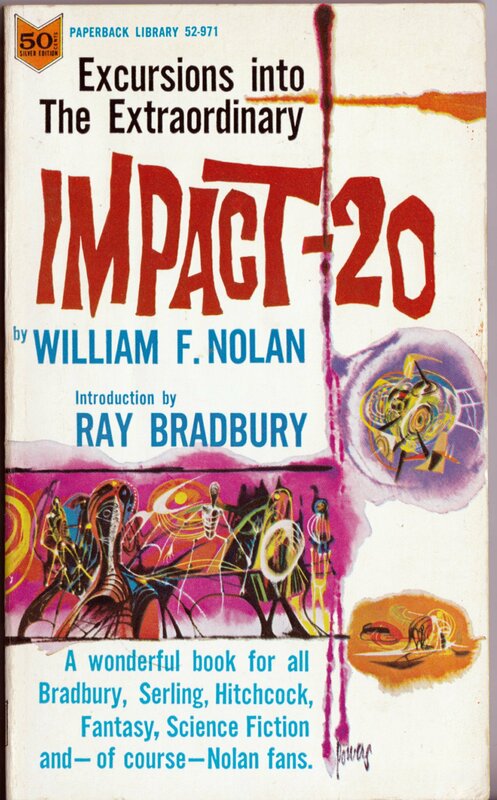 ABOVE: William F. Nolan, Impact-20 (New York: Paperback Library, 1966), with cover art by Richard Powers. 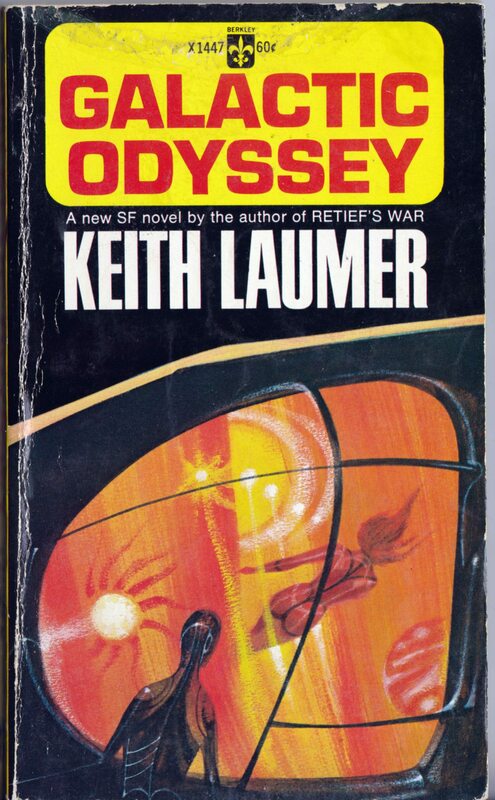 ABOVE: Keith Laumer, Galactic Odyssey (New York: Berkley, 1967), with cover art by Richard Powers. 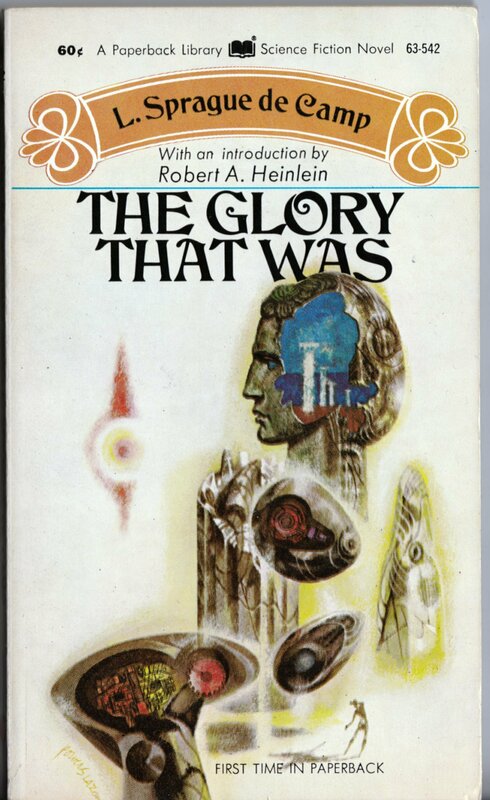 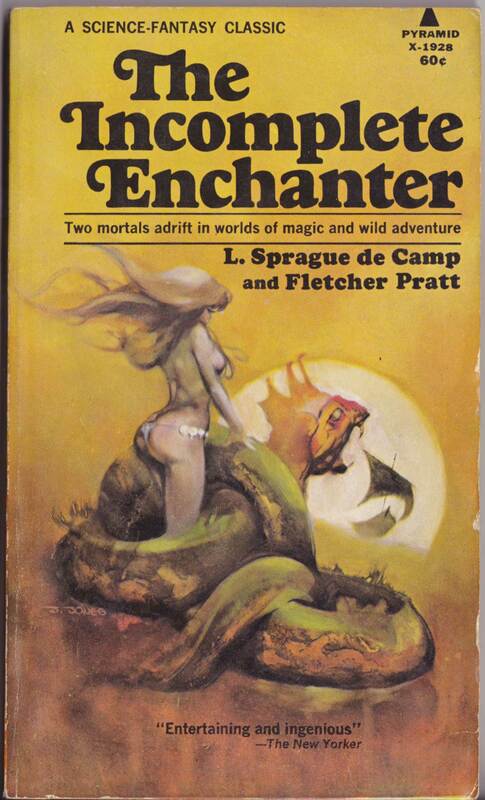 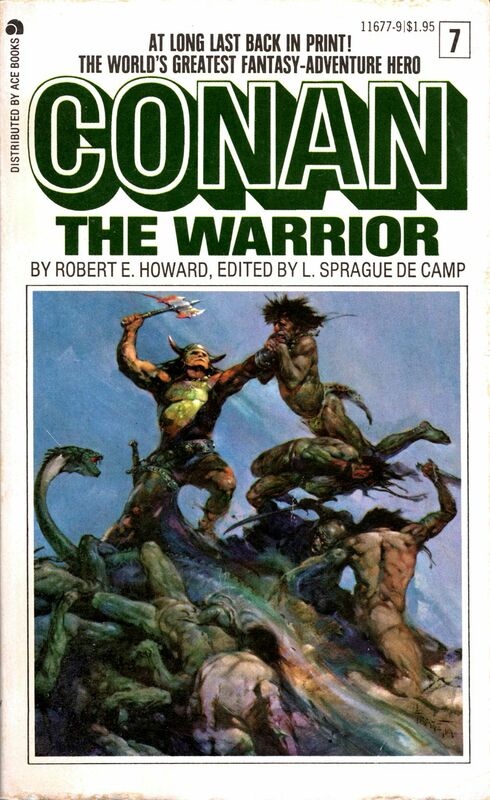 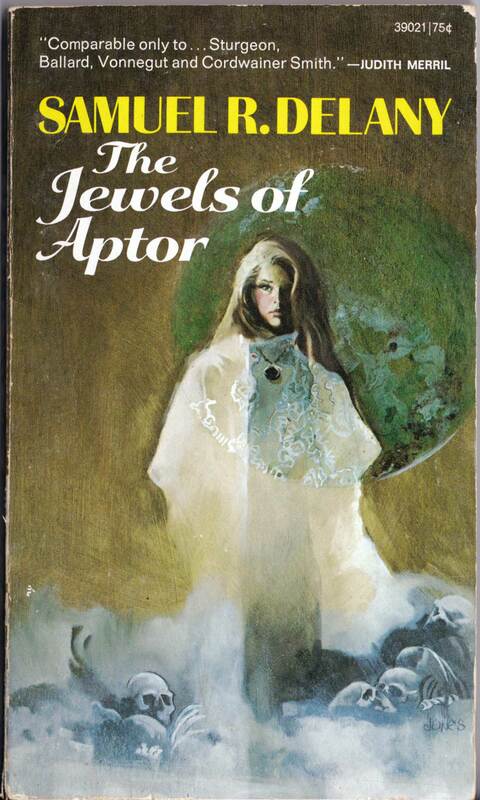 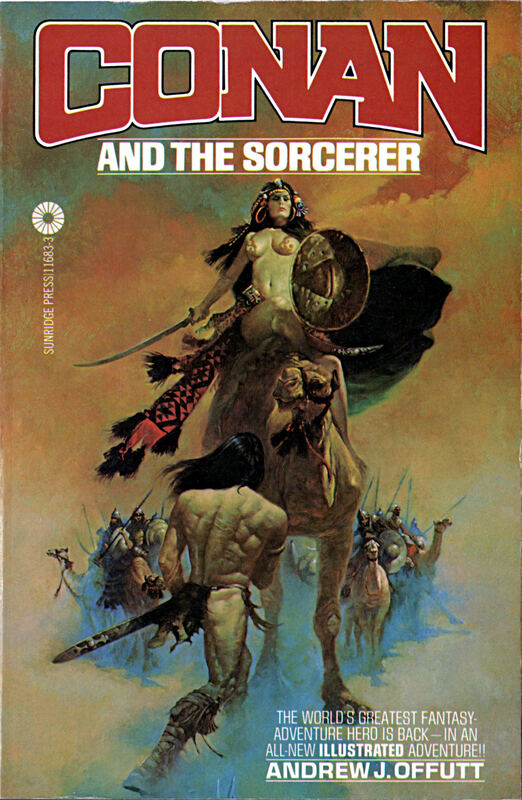 ABOVE: L. Sprague de Camp, The Glory That Was (New York: Paperback Library, 1971), with cover art by Richard Powers. 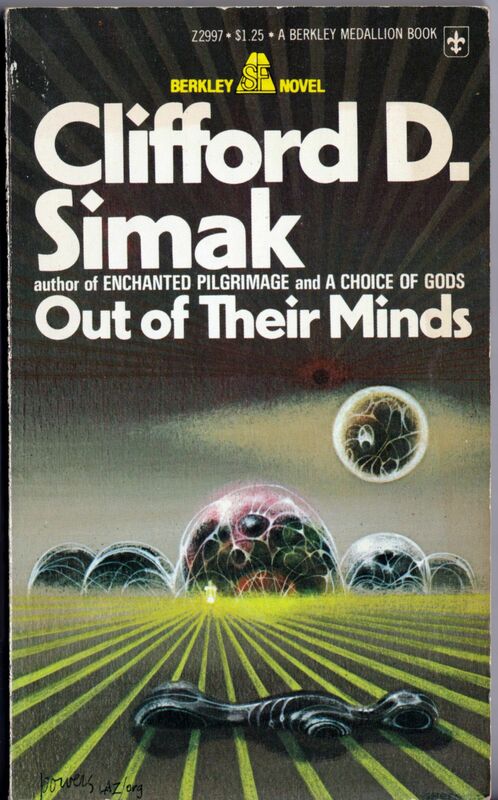 ABOVE: Clifford D. Simak, Out of Their Minds (New York: Berkley, 1975), with cover art by Richard Powers. 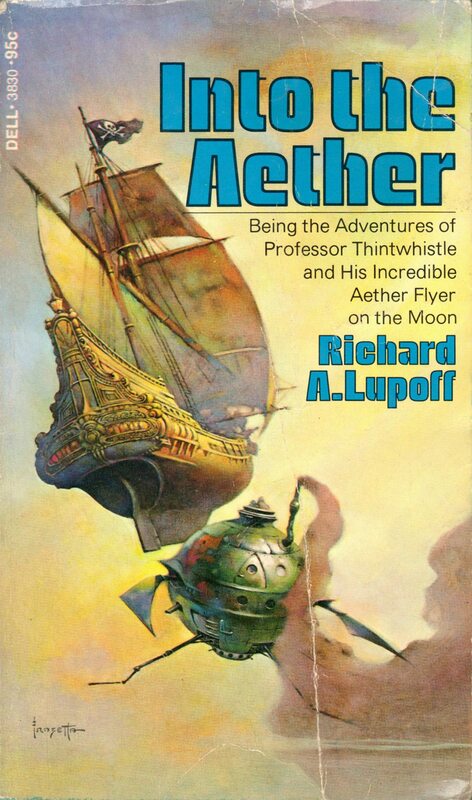 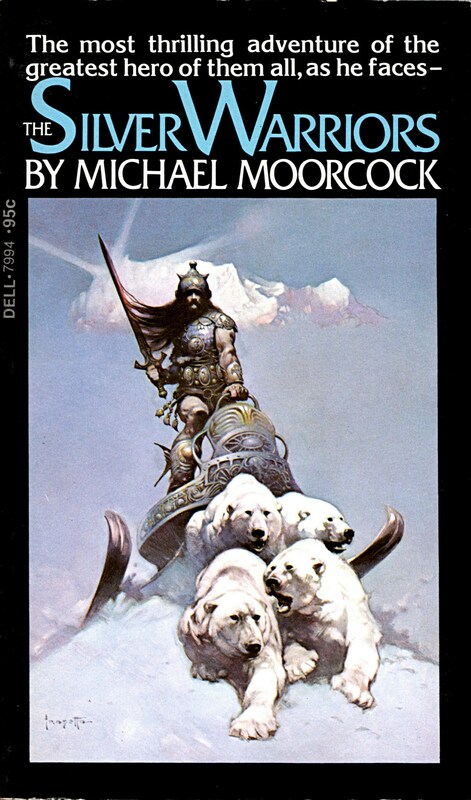 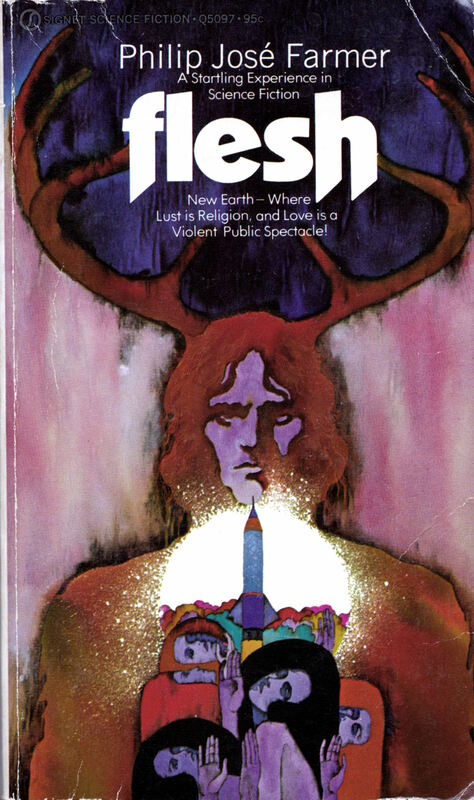 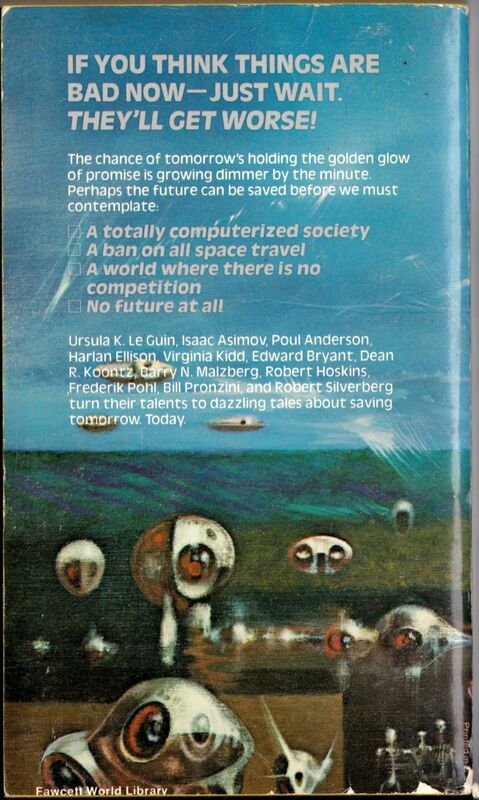 ABOVE: Robert Hoskins, ed., The Future Now (New York: Fawcett, 1977), with cover art by Richard Powers. 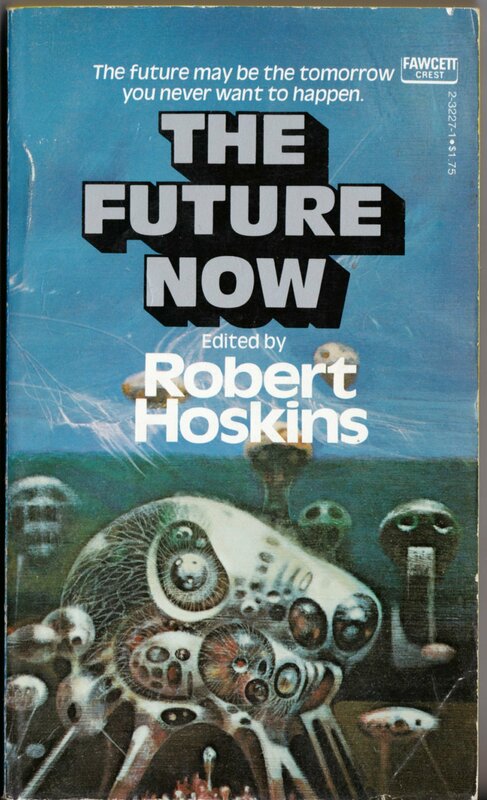 ABOVE: Robert Hoskins, ed., The Future Now (New York: Fawcett, 1977), with cover art by Richard Powers. 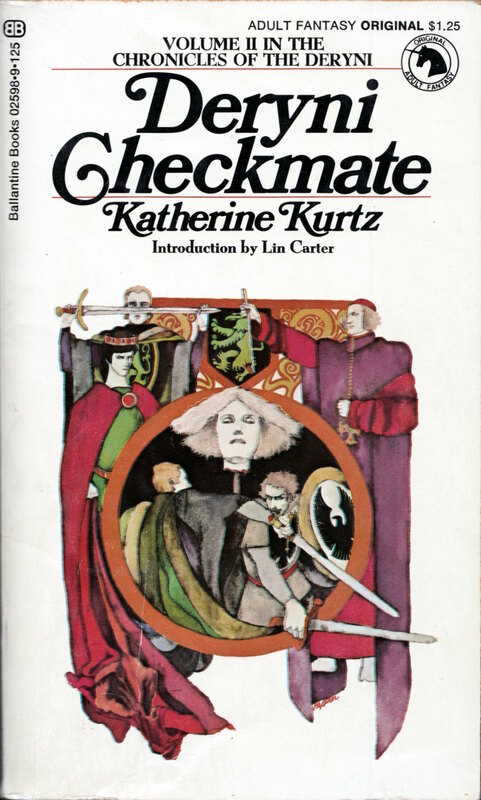 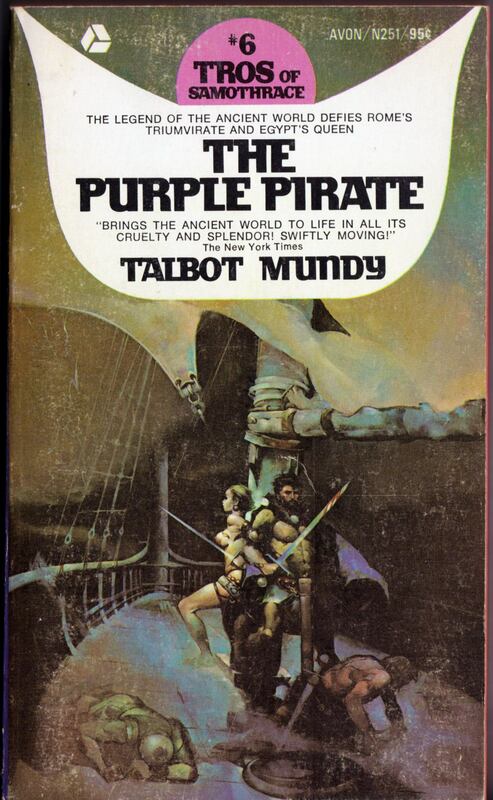 This is the back cover, obviously, but note that the art doesn’t appear on the spine, which is a solid colour. 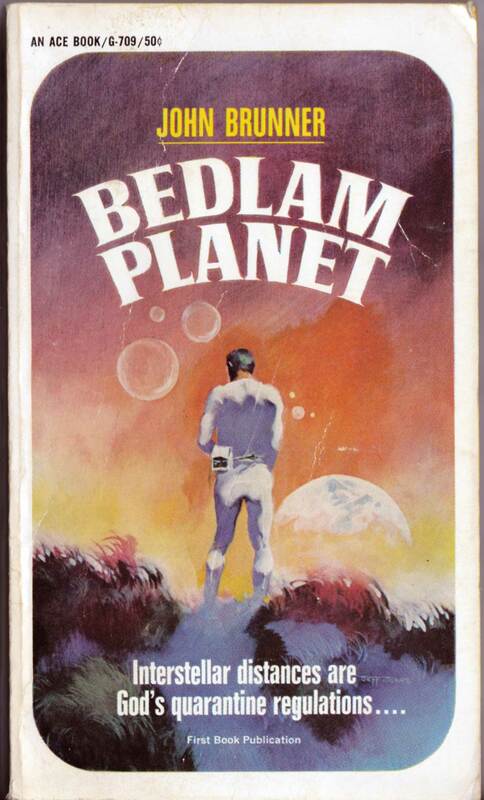 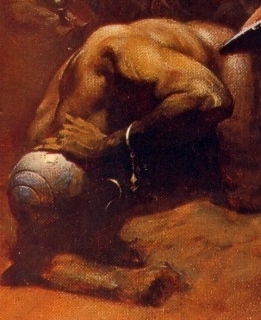 Keywords: The Skylark of Space, The Worlds of Clifford Simak, Creatures of the Abyss, Beyond the Barrier, Impact-20, Galactic Odyssey, The Glory that Was, Out of Their Minds, The Future Now. 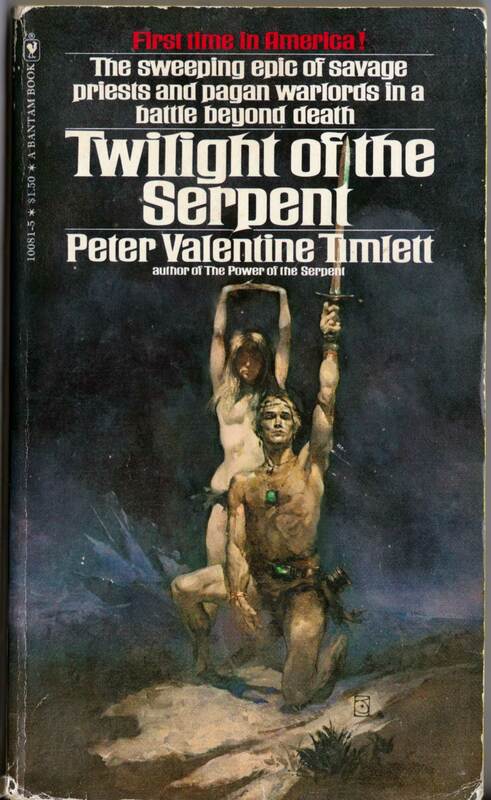 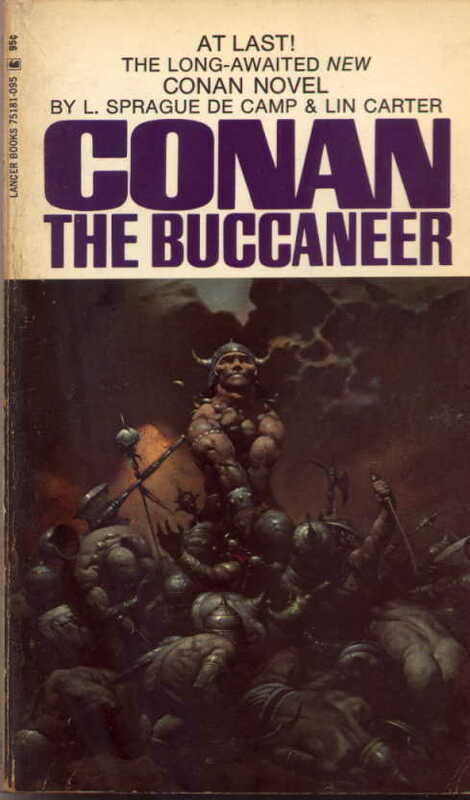 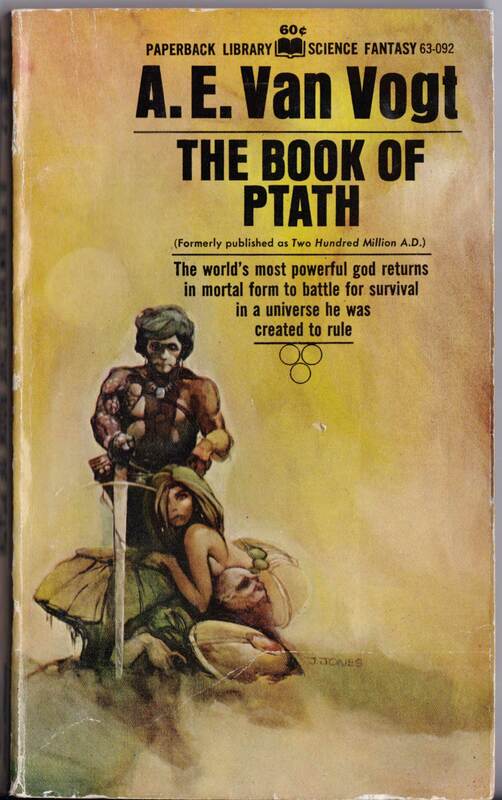 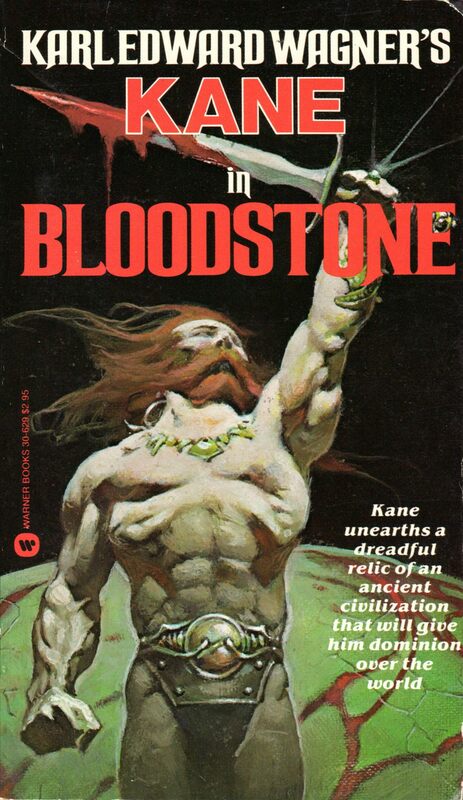 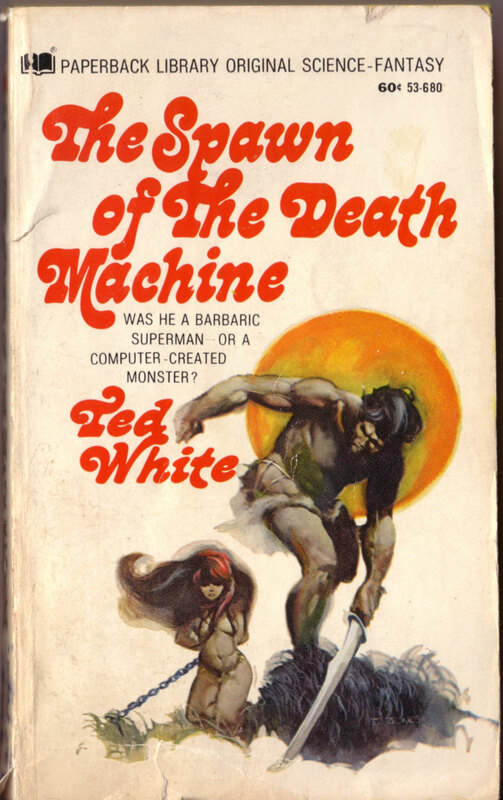 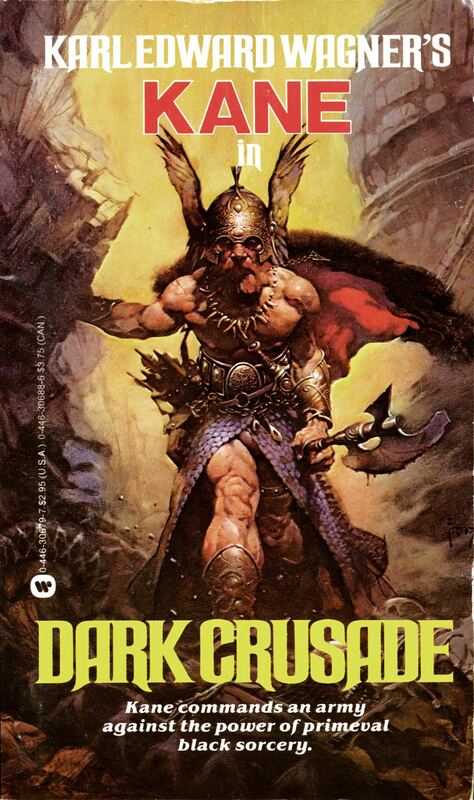 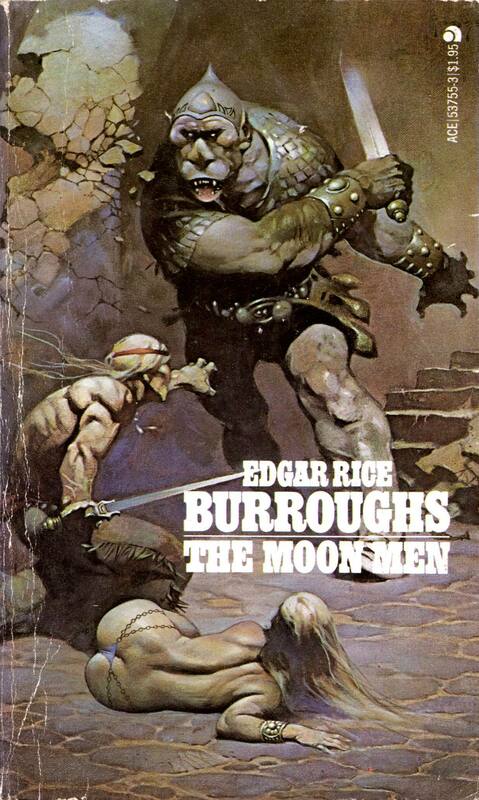 ABOVE: Ted White, The Spawn of the Death Machine (New York: Paperback Library, 1968), with cover by Jeffrey Jones. 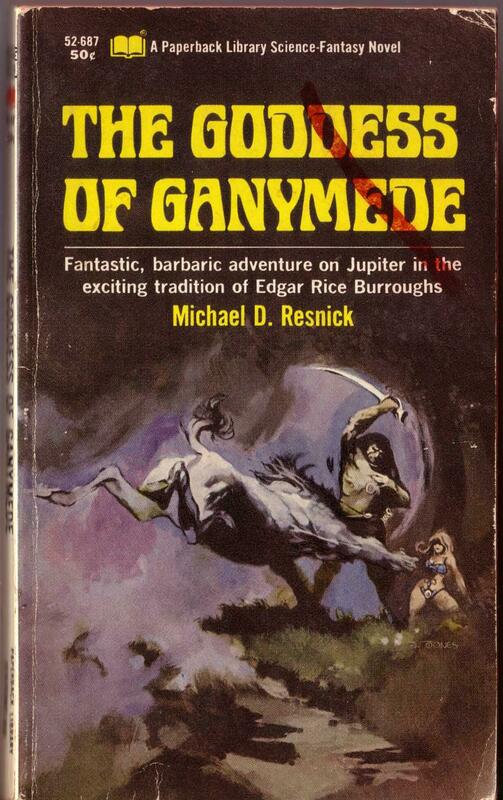 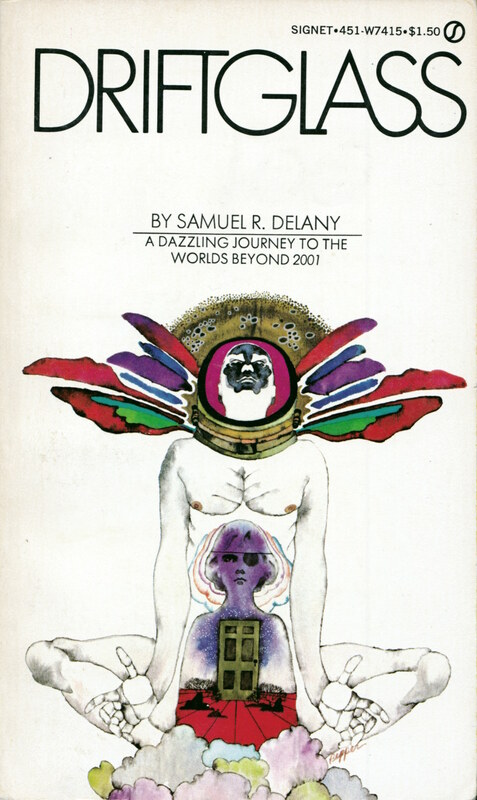 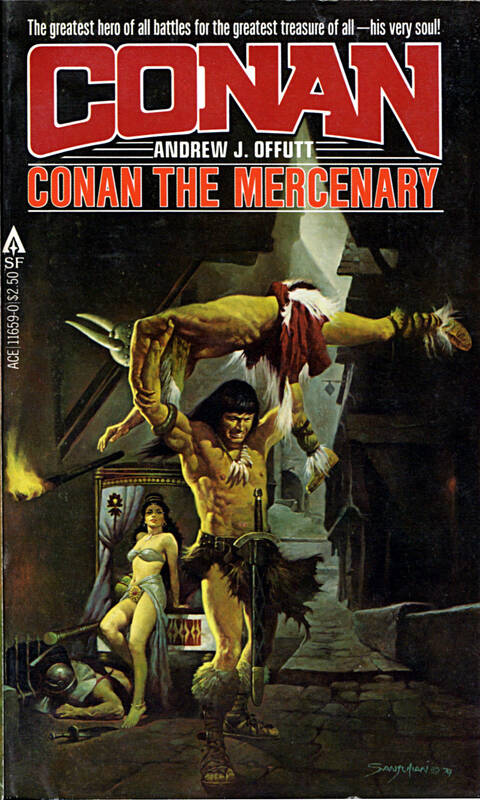 ABOVE: Michael D. Resnick, The Goddess of Ganymede (New York: Paperback Library, 1968), with cover by Jeffrey Jones. 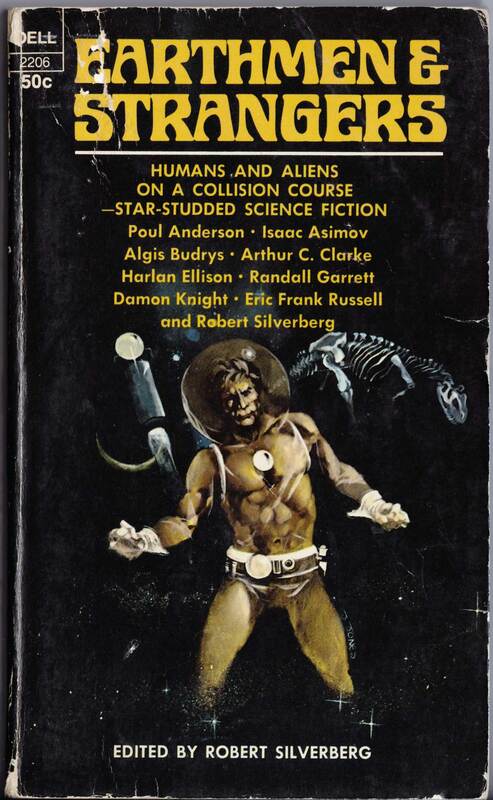 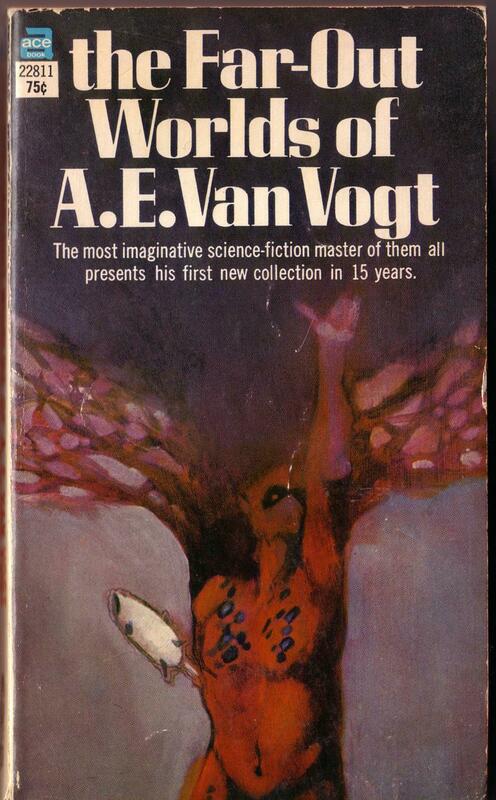 ABOVE: A. E. Van Vogt, The Far Out Worlds of A. E. Van Vogt (New York: Ace Books, 1968), with cover by Jeffrey Jones. 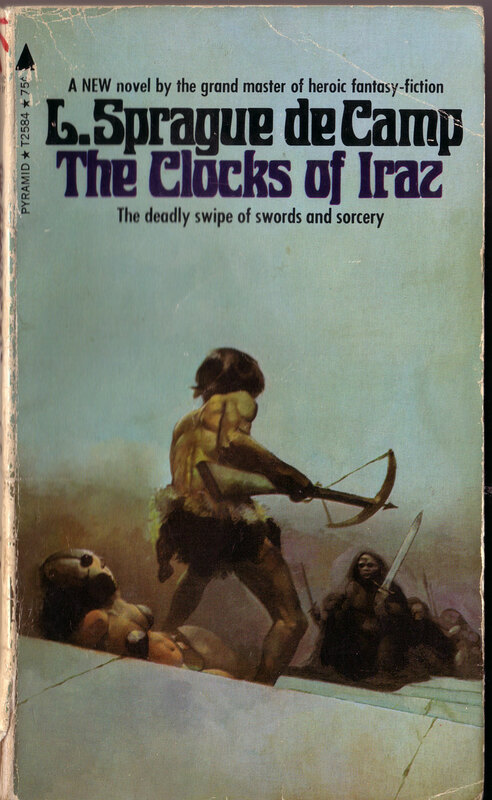 ABOVE: L. Sprague de Camp, The Clocks of Iraz (New York: Pyramid Books, 1971), with cover by Jeffrey Jones. 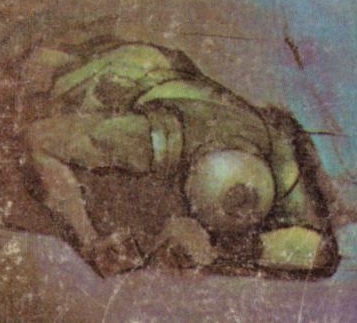 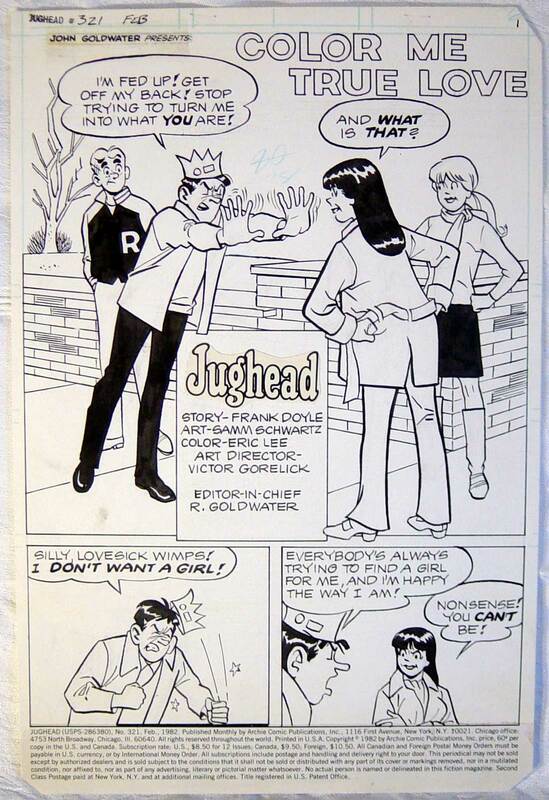 Even though I don’t much care for any of the above covers, I have decided to include them here anyway for what they reveal about Jones’s slow but steady development as an artist. 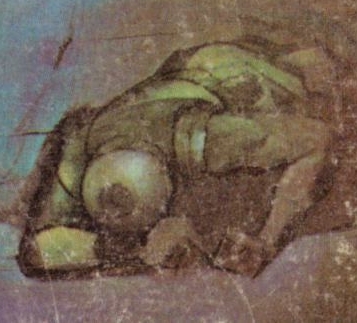 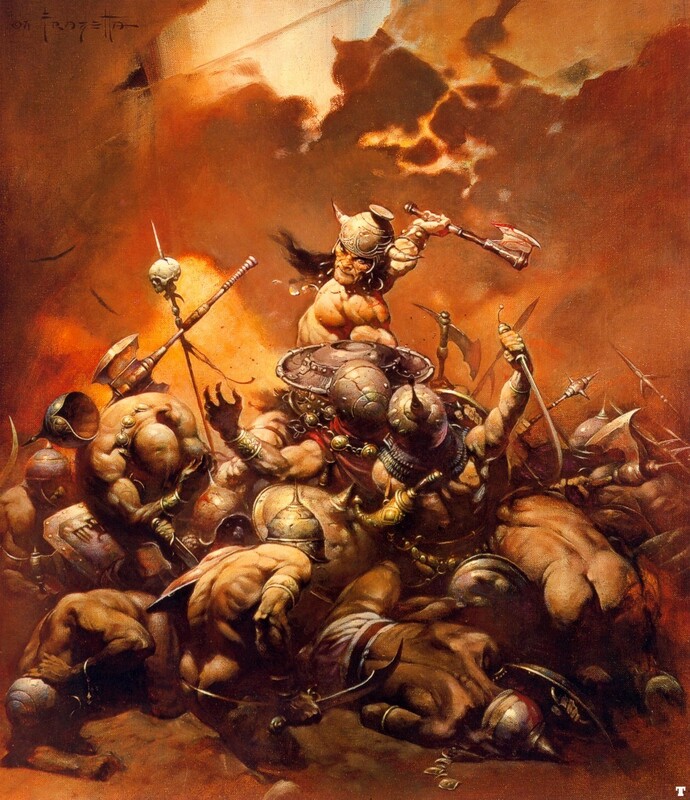 Keywords: The Spawn of the Death Machine, The Goddess of Ganymede, The Far Out Worlds of A. E. Van Vogt, The Clocks of Iraz.